is best known for his role as the “Soup Nazi” on the television sitcom Seinfeld. The role earned him an Emmy Award nomination in 1996 in the category of Outstanding Guest Actor in a Comedy Series. In 2006, Thomas made an appearance in the independent comedy feature Spaced Out (which includes a variation of his famous “No Soup For You” line). This was the start of a working relationship with Boomstick Films which includes co-starring roles in Not Another B Movie, Dr. Spine, and the award-winning Paranormal Activity spoof Paranormal Calamity. 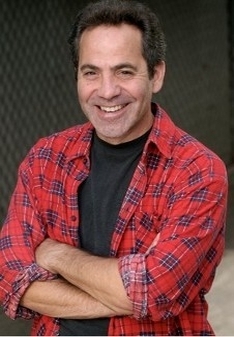 In other recent roles of note, Larry has portrayed each of the two most iconic Middle Eastern villains of American history. In 2006, he guest-starred in Arrested Development as a Saddam Hussein lookalike. An earlier joke had one character having a photo taken with the real Saddam, after mistaking him for Thomas. Thomas also played the role of Osama bin Laden in Uwe Boll‘s 2008 shock comedy film Postal. In February 2012, Thomas again appeared as the Soup Nazi in an Acura NSX commercial featuring comedians Jerry Seinfeld and Jay Leno.